1 What is Sciatic Nerve Pain? The human body is made up of a lot of things, one of which are the nerves. There are about seven trillion of nerves in the body. Along with cells or neurons, nerves are grouped together into what we call the nervous system. They are vital for the body’s coordination and transport signals or information from the brain or the body, respectively. Nerves are important for the proper functioning of the body. One of the many nerves in the body is the sciatic nerve or that nerve which runs down from the lower back, through the buttock or hips, and down to the legs and even to the feet. Depending on the activities you normally engage yourself into, the pressure that is placed on the sciatic nerve usually causes sciatic nerve pain. The pain may have arisen from the pressure on the muscle, spine, or bones. The said pain may range from mild to sharp and debilitating ones. It is normally felt on one side only, but in rare cases, it may be felt on both legs and feet. So Sciatic Nerve Stretches is one method that can relieve sciatic nerve pain. 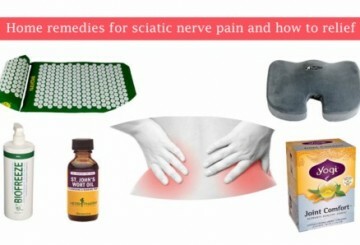 There are several ways to remedy sciatic nerve pain or to ensure the health of our sciatic nerves. The proper approach may depend on the condition, mildness or severity, of the sciatic nerve. Some pain last for a couple of weeks, which heal by themselves, while others are those which last several months and require medical intervention to be cured. This is so because to completely get rid of the pain, the underlying cause must be properly addressed. One effective way to alleviate the sciatic nerve pain or to prevent the same is through proper stretching. Counterintuitive may it seems, however, experts and physicians have advised their patients to engage themselves in exercise or stretching rather than getting a complete bed rest. While rest is required, lack of movement or exercise de-conditions the spine or muscles. It is also important so as to ensure exchange of the nutrients in the spinal discs to prevent pressure on the sciatic nerve pain. Given the benefits of exercise or stretching to the body in general and to the sciatic nerves, it is important to learn the different kinds or variations of stretching. The appropriate stretch will vary between persons depending on the area mostly affected or the gravity of pain. This is why before engaging in any activity, it is a precondition to seek your physician’s advice or ask help from an expert to make sure you perform the stretches properly. Remember that stretches are supposed to alleviate pain and not make anything worse. One helpful yoga pose to ease or alleviate sciatic nerve pain is the Child’s pose. This yoga pose is aimed at aligning the spine and to release pressure off the lower back. This sciatic nerve stretch is particularly essential for spine-related pain. The child’s pose effectively stretches the muscles in the lower back as well as in the hip and buttock. To perform Child’s pose, come down to your hand and knees. Rest you buttocks on your heels and extend your arms before your body as you rest you forehead on the floor or a book or blanket. Stay in this position for about 30 seconds as you feel the stretch. Downward facing dog is one of the most prominent yoga poses. It is even used and incorporated in workout routines outside yoga. It is an effective sciatic nerve stretch as this pose stretches muscles from fingers to toes. In performing the downward facing dog, the spine is stretched and decompressed. To start, come on to the floor in your hands and knees with the hands slightly forward the shoulder and knees directly below the knees. Tuck toes and press hips up and back. Stretch the heels down to the floor and straighten your knees without locking them. Align your head with the spine and hold for thirty seconds before dropping knees to the floor and sitting back on the heels. The doward facing dog involves the hamstrings by lengthening them. It likewise gives a good stretch to the lower back and buttocks, as it improves blood circulation. One of the most prominent yoga poses is the pigeon pose. This pose likewise is one of the great sciatic nerve stretches for your body to relieve the pain. Start with the downward facing dog pose. From there, place your right knee forward and out as your right foot is positioned in front of the left hip. Extend your left leg behind you as the toes press against the mat. Then, slowly lower your legs. Hold this position for about thirty seconds or for five to ten breaths. Do the same on the opposite side. This pose should give your thigh a good stretch. Apart from being an effective headache reliever, this next sciatic nerve stretch likewise stretches the spine. The cat and cow pose helps bring back the neck over the spine. To do this pose, come down to your hands and knees in a tabletop position and with a neutral spine. Perform the cat pose on the inhale and cow pose on the exhale. When inhaling, you curve up your back to round the spine. To exhale, arch the back while lifting the chest. Repeat this sequence for three to five times. This improves spine flexibility and at the same time stretch the back, hips, and abdomen. There are several yoga poses that help manage sciatic nerve pain. One of them is the triangle pose. There are several variations of triangle pose, but one should put emphasis on the foundation of this pose. It is important that you turn the front foot 90 degrees forward, while the toes of the back foot are turned forward in between 30 and 45 degrees. The heel of the front food should align with the arch of the back foot. Aim to align back heel, hips, and shoulders in order to stretch the hamstring and back muscles and to achieve a deep side stretch. Do not force yourself to rest one palm on the floor. If you are not that flexible yet, you may use books, chair, or just simply place your hand on your shin. Considering that sciatic nerve pain is predominant among pregnant women, there are also sciatic nerve stretches that are perfectly safe for expecting mothers. The more common causes of sciatic nerve pain during pregnancy are inflammation of the lower lumbar and the growth of the baby pressing on the sciatic nerves. One helpful yoga pose for pregnant women is the child pose that effectively takes the lower back from the over-arching due to the weight of the baby that pulls the spine forward. In doing the Child pose, you will feel a tightness in the spine as the muscles release tension. 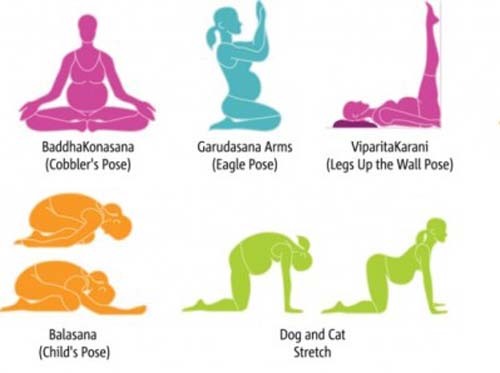 Other yoga poses recommended for pregnant women that they could perform as part of their sciatic nerve stretches are cobbler’s pose, legs up the wall pose, dog and cat pose, and eagle pose. Another relieving sciatic nerve stretch is the table stretch, which will not require you to lie down on the mat. The table pose relieves pain by stretching out the spinal segments as you attempt to make the spine flat and long. It involves traction of the nerve roots from the spine down to the legs that is why it is advised to perform this stretch at the right time and without overstretching the nerves and muscles. Through time, machines have finally emerged to assist in dealing with sciatic nerve stretches. This time, instead of performing the stretches tool-free, you do them on or with a machine. Stretch machines are helpful in performing core and back muscle stretches. It is, however, recommended that you seek for an expert’s advice on how to properly execute the sciatic nerve stretches on the machine. There are different types of stretch machine that maximize the benefits of sciatic nerve stretches. Stretch machine are generally built for convenience and as a practical choice to have stretching sessions at home than elsewhere. The most common is the inversion table, which enables you to turn upside down in an inverted position as your spine rests on a back rest. The inversion table is generally used to stretch the spine if it is the latter that causes you the discomfort or pain. 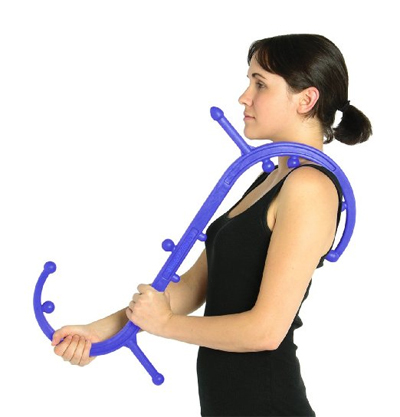 Other types of stretch machines are the portable back stretcher and the lying back decompression and neck traction. Apart from the yoga poses that have been proven to be beneficial to improve sciatic nerve health and to alleviate sciatic nerve pain, there are also other stretching exercises outside of yoga that yield to same results. Sciatic nerve pain or sciatic is not the disease or illness itself, but rather the umbrella term of the underlying symptoms that point out to a certain condition. Sciatic nerve stretches must also include the hamstring. The tightness of hamstring increases the amount of stress in the lower back and may trigger or aggravate the sciatic nerve pain. Hamstrings are the group of muscles located behind the thighs, which run from the pelvis down to the knee. Their tightness is brought about by the lack of stretch in our daily activities. The position while doing the hamstring stretch varies upon the condition of the patient, whichever is comfortable to him. The patient can either lie down or sit. The key is not to make a sudden stretch in the hamstring area, but rather take it gradually. Try holding the stretch for ten seconds and gradually move up to 30 seconds. It is likewise important to remember that when you stretch and you feel pain, it is better to stop and seek the doctor’s advice. As mentioned earlier, the patient can choose between the seated hamstring stretch or while lying on the back either using a towel to support the thigh as you stretch or against the wall. Hamstring stretch can be beneficial if performed twice a day. Another effective sciatic nerve stretch is the stride stretch. For this one, you will need a chair or something of the same height and stability. Stride stretch will improve your flexibility and will warm up or loosen the hip, pelvic, and leg muscles. What you are going to do is to stand before the chair with legs hip-width apart. Bring one leg on the chair with ankle pressing on the chair surface. Hold the chair if you need support. Then bend the leg on the chair forming a 90-degree angle as you slowly lunge forward and spine straight. You will then feel a stretch in the hip area. Keep you pelvis and hip squared to the chair and hold for a few breaths. Then go back to the original position while straightening the leg and toes towards the ceiling. You should feel a stretch in the back of your knee. Repeat the same before your switch to the other leg. Apart from performing yoga poses, another sciatic nerve stretch that is highly beneficial for your health is the use of self-trigger point therapy. While this is not a stretch per se, it is usually performed along with other stretches to maximize its benefits. In self-trigger point therapy, you make use of a tennis or lacrosse ball. First, identify which spot in your glutes is painful and place the ball under it and relax your body on top of the ball. Hold this position for about a minute or until you feel the pain eases. Then, move to the next spot and perform the same. A five to ten-minute session of this exercise is ideal as an aid to your sciatic nerve stretches. Foam rolling exercises are effective ways to relieve tension in the muscles around the sciatic nerve, which may be causing the discomfort or pain. 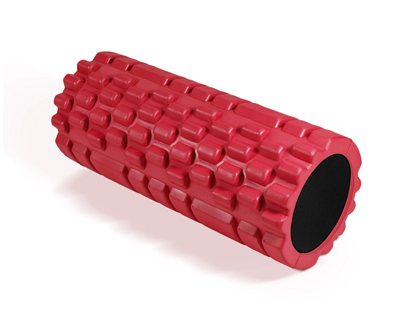 Aside from the self-trigger point therapy, foam rolling exercise aids to maximize the benefits of sciatic nerve stretches. This will target the piriformis, which is a hip muscle found near the glutes. Start by sitting on the foam roller with knees bent and feet laid flat on the floor. Shift your weight on both sides of the glutes by first crossing your left leg over the right thigh and then lean on the right. When your right glute is the only part of the body touch the roller foam, you can straighten your right knee and begin rolling the glute for 20 to 30 seconds. Repeat the same steps, this time, leaning on the right. If the pain is felt only on one side, you may focus only on the side where there is pain or discomfort. Even when you are your bed, there are also stretches you can perform even before you sleep or before you get off the bed in the morning. Try lying on your stomach. Place your directly under the shoulders with forearms flat on the bed. Slowly lift your chest allowing your back to arch. Make three 30-second repetitions while holding this position. Another good sciatic nerve stretch you can do in the bed is by simply hugging your knees to the chest as the lower back goes round. This stretch benefits both the back and legs. The third stretch you can do before you snug under your blankets is by lifting the leg towards the opposite shoulder. With both legs extended, lift the right knee securing your hands behind the knee. Then pull the right knee in the direction of the left shoulder. A stretch on the hip will be felt from this pose. Hold for a couple of second before switching to the opposite direction. Another variation is by placing the right ankle on the left knee to form a number 4 shape. Place the hands behind the left knee and slowly raise or pull the left knee towards the chest as the right knee pushes away. Hold the position for 30 seconds and do it on the other side. When dealing with sciatic nerve pain, it is important to remember that there are several causes that contribute to the discomfort or pain. This is the reason why it is highly advised that before you take on or perform any of the sciatic nerve stretches listed above, please do seek the advice of your doctor. Also, these stretches are not only suitable for those who have already sciatic nerve issues. You can perform this sciatic nerve stretches to prevent sciatic nerve pain.